The Hague Book. A readable, handy and exuberantly illustrated overview of the city. Back by popular demand: a second, updated edition of a book that has been sold out for a long time. The Hague Book is a manual for the Hofstad. The authors take the reader on a chronological journey through time. The Hague Book tells the story of The Hague, a city with a rich history, as a residence and center of govermental power, a city of state officials and demonstrations, home to the royals, city of ‘hats and caps’, of both military and colonials, of herring and ‘hopjes’, of churches and mosques. A lot of ground is covered: the Roman milestones, city monestaries, famous politicians, German soldiers playing soccer in the Zuiderparkstation and the reconstruction after the Second World War. Each story is accompanied by a picture from the collection of the Gemeentearchief. 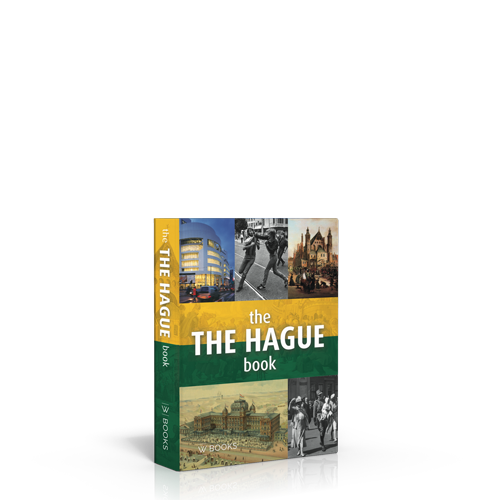 The Hague Book is a beautiful gift for both people from The Hague and tourists looking for background information.